A taxi driver's downward mental spiral leads him to become a vigilante. It's a little hard to say what the message of a movie like "Taxi Driver" really is. Is it condemning society's idolization of vigilantism? Is it praising vigilantism? Or, is it merely an exploration of one man's descent into madness with a little bit of an ironic ending? 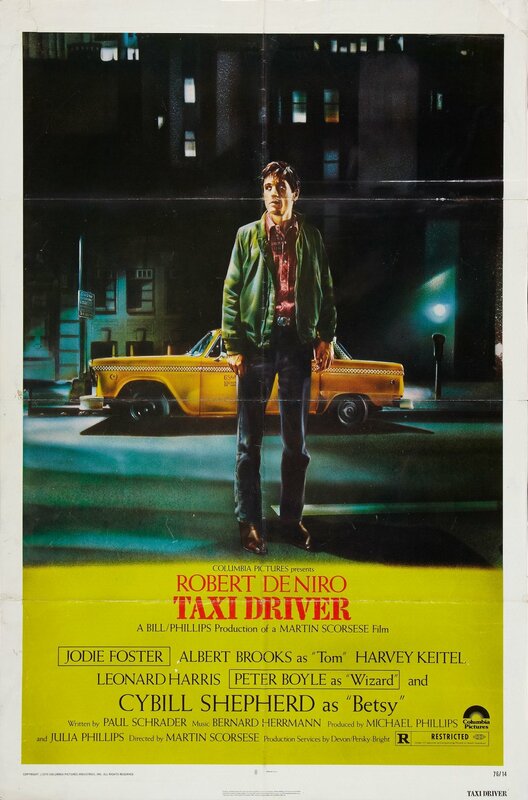 "Taxi Driver" is directed by the legendary Martin Scorcese. He would go on to direct Academy Award-nominated and winning films like "Raging Bull," "Goodfellas," "Gangs of New York," and "The Departed." It is written by Paul Schrader, who has written films like the aforementioned "Raging Bull," as well as "American Gigolo" and "The Last Temptation of Christ." The film stars Robert De Niro as taxi driver Travis Bickle, a minimally educated former Marine who seems to be at the very least socially awkward and at the most plagued with a development mental disorder. Bickle sees the crime and muck in the world around him and is disgusted by it and wishes he could do something about it. He falls for a political campaign manager named Betsy (Cybil Shepherd), who is a mismatch for him in every way. When Travis is eventually and inevitably rejected by Betsy, it pushes him off the deep end as his fantasies of becoming a vigilante start to take over. We have to wonder if anyone idolizes a character like Travis Bickle. Is there anyone who dreams of being a mentally disturbed man who violently takes the law into his own hands and only does so after he fails at his initial task? Does anyone want to be an accidental antihero? It's a scary thought, but hey, people idolize Batman, so is it much of a stretch? Many regard this as one of Scorsese's best films. We have seen it multiple times now, and though we think it is a solid movie, truth be told, it is not fantastic. Robert De Niro does put on an iconic performance as a man spiraling out of control who eventually snaps after a woman rejects him. He earned an Oscar nomination for his role as Bickle, though he didn't take home a trophy that year. Also tremendous in her much smaller performance is Jodie Foster as 12-year-old prostitute Iris, the eventual goal of Bickle's delusional hero trip. Foster was also nominated for a supporting actress Oscar. Martin Scorsese has always had a great eye, and there are a lot of wonderful visuals in this film. You can practically smell the dank, dirty New York sewers coming through the television screen simply because of his brilliant directorial efforts. The story, however, is a bit meandering. A slow paced story is a staple of Scorsese's films, and since "Taxi Driver" is more of a character sketch, it doesn't have a standard narrative that regularly drives the story forward. It takes its time exploring different aspects of its protagonist's personality. The ending of this movie and its meaning are up for debate. Some see it as a final dream sequence, an emotional catharsis for a crazy man's mad rampage. Pretty much everyone involved with the film claims that is not the case. Now, the big question to us is: is the ending of the film meant to applaud Bickle's actions, or condemn society's views towards vigilante justice? What you think the ending is trying to say and how you feel about the subject at hand can greatly impact your feelings towards this movie. We can debate the meaning without much conclusion, so at least it makes the audience think about it and discuss it. That being said, the trip getting to that ending isn't as engaging as we had hoped. Despite multiple viewings of the film, we still feel the same way. We do applaud many aspects of "Taxi Driver," but we don't think it's as profound as some would have you believe.